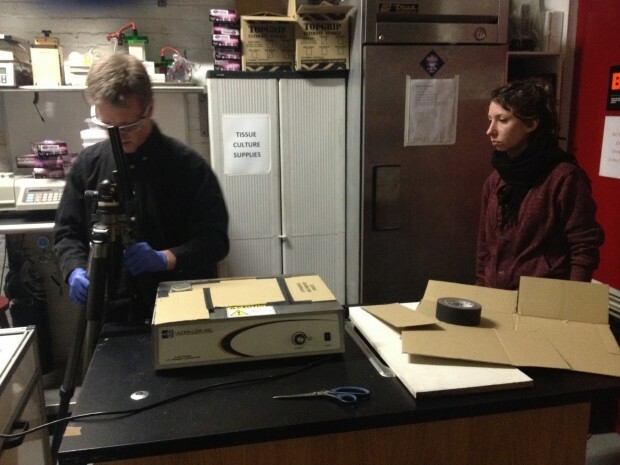 On our return back to Brooklyn, the team congregated at Genspace‘s community biotech lab. With the plates cultured and the bacteria glowing, it was time to capture the stars of the show- our iridescent microbial friends- on film. To do that, the dexterously gifted Grace Baxter created a “bacterial photo booth” that talented interactive photographer Joergen Geerds was able to use to shoot the plates from above. 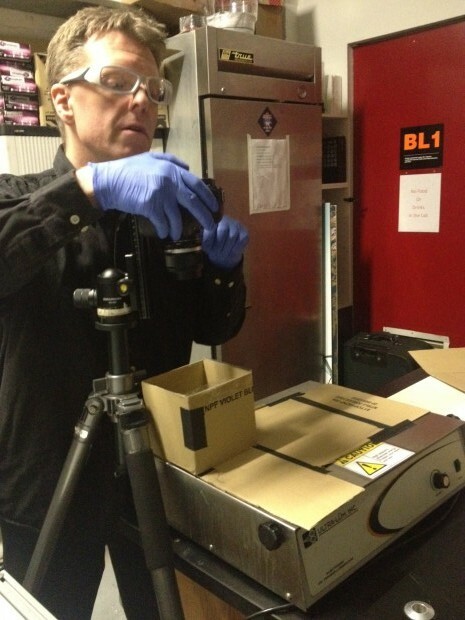 Take a peek at the photography process in the lab. Joergen and Grace discussing the specs of the “bacteria photo booth”. Grace building the “bacteria photo booth”. Joergen adjusting the lense above the photobooth. 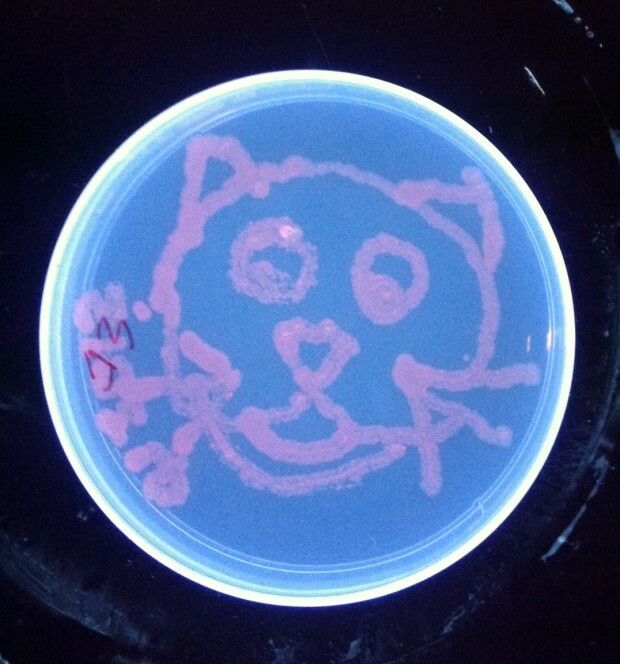 “Le chat du bacteria” was a popular motif.